Wash the fresh beet roots under cold water, scrubbing gently with a brush or sponge. Cut off the greens and trailing root fragment. Place the raw beets (one-by-one) into a juicer (it is not necessary to peel the beet). Alternately, place the scrubbed and trimmed beets into a large sauce pot and cover with water. Boil until a knife can be easily inserted into the beet (about 30 minutes). Peel off the skin, when cooled, and pass through the juicer. Place in a clean capped bottle, refrigerate, and use within 2-4 days. If storing longer-term, add ½ oz. of high-proof Vodka for each cup of juice. We love mixing beet juice with gin and high proof bourbon, but it can liven up most any spirit. Use it in our Beetnik, Garden Party, 3:15 Beet Down, and Bourbon Beet Down cocktails where it provides a fun, fresh, sweet and sour taste. 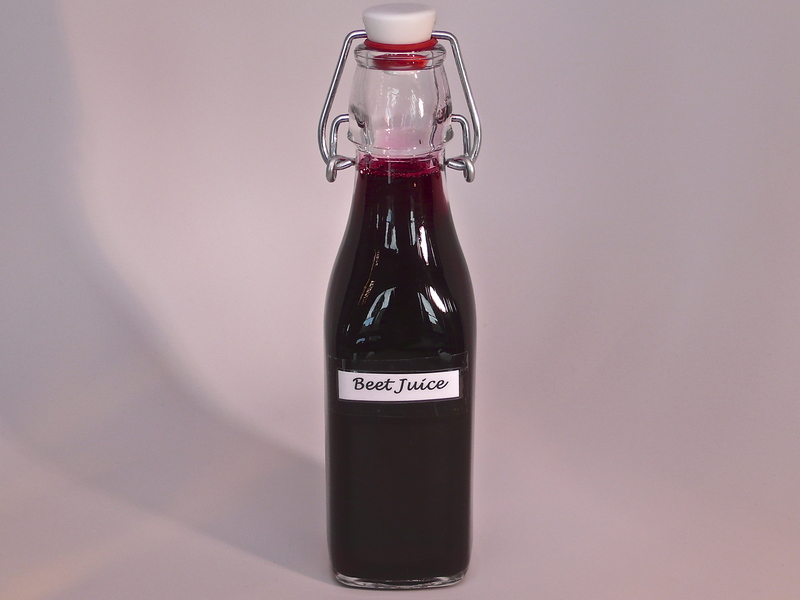 We typically use store-bought juice, though it is easy to make your own. 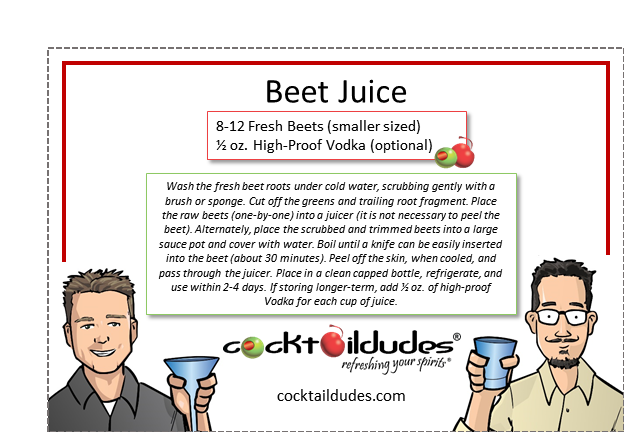 We’ve found the best beet juice to use in cocktails comes from juicing boiled fresh beets as the pulpiness from the softened “beet meat” provides for a richer juice. Cheers!